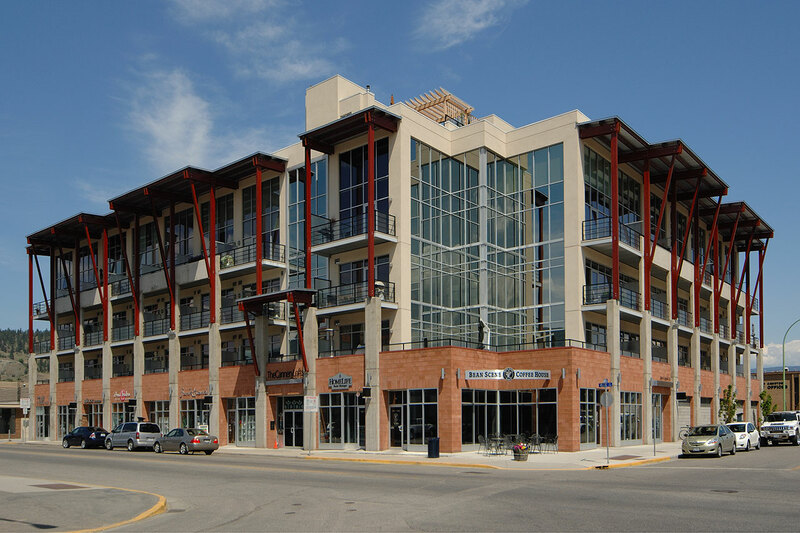 Cannery Lofts is a mixed-use development in the cultural district of downtown Kelowna. 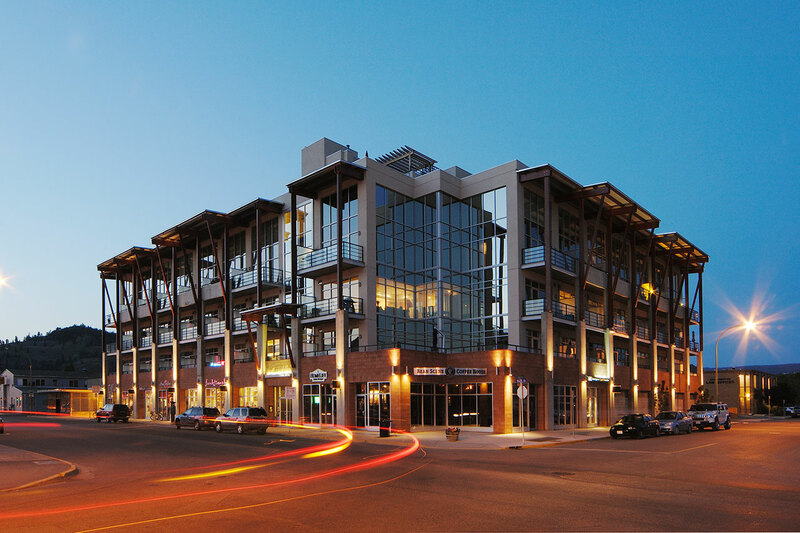 Working with an original design by Water Street Architects and Alda Pereira Interior Designs, Meiklejohn Architects created an urban Okanagan aesthetic using wood frame and concrete, with exterior glulam detailing. Retail spaces line two sides of the ground floor concrete parking structure, which is topped by 60 modernist loft condominiums. The energy-conserving features of this project include in-suite heat pumps, reflective laminated low-E glass, and high R-value construction. 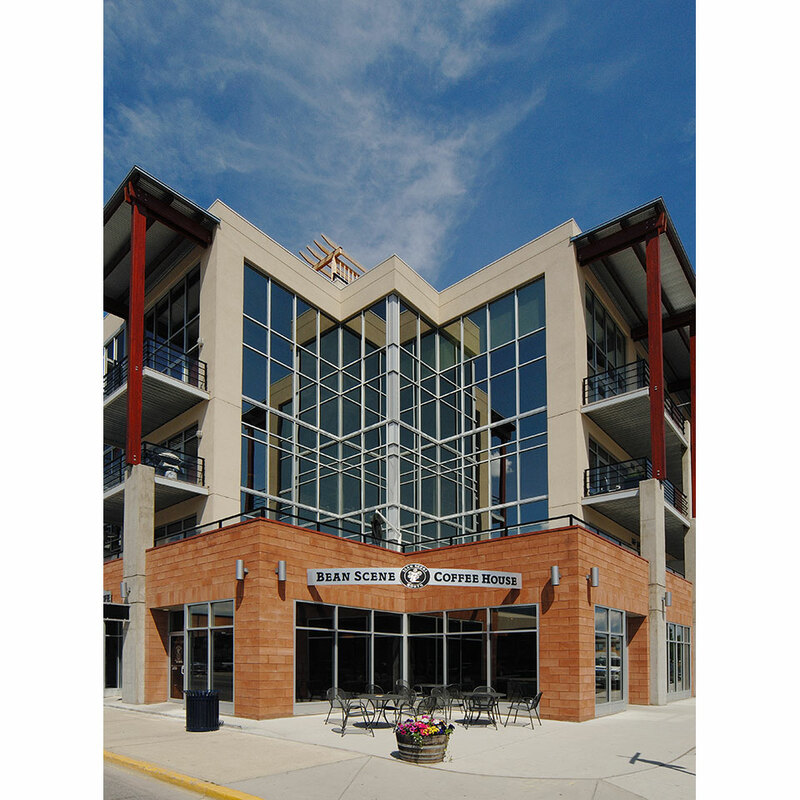 The project has been the recipient of both 2006 BC Wood Council and Okanagan Tommie Awards for the best multi-family project.